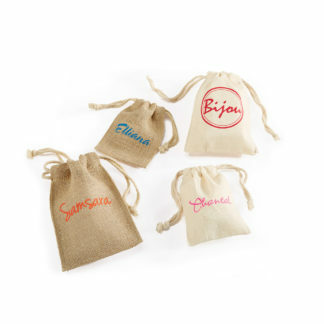 Our newest addition to our eco-friendly program, drawstring pouches are available in natural cotton canvas and natural jute, and in two sizes – 3×4 and 4×6. Bags feature cotton rope drawstring closure, no inside lamination and look beautiful screen printed. For Larger Quantities Please Contact Us. Make Your Selections Below to Get Pricing. Also referred to as the rope duffle bags, our canvas duffle bags come in a trendy 18″ x 10″ back pack style size and feature over the shoulder rope handles. These bags are available in natural off white canvas and also in natural canvas with colored trims. Trim colors include black, navy, lime green and pink. These canvas bags are finished with gold grommets and 7/16″ off white 100% cotton rope handles and have a clear laminated bag interior. Regardless what you use them for, these high quality canvas bags are sure to please. Start customizing canvas duffle bags with us today and see the difference they can make to your business! 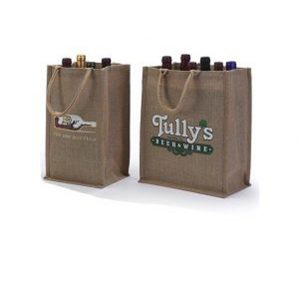 Available in two bottle, four bottle and six bottle styles, our natural jute and canvas wine bags are truly eco-friendly and a great way to promote your business. 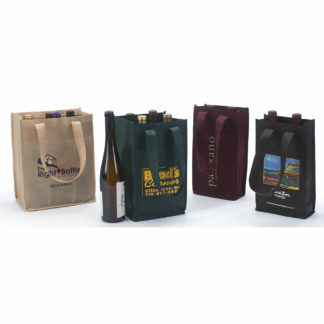 Regardless which size you choose for your canvas wine and liquor bags, you can be sure that we have used high quality materials to ensure that your wine and liquor bags stay strong to withstand the weight of your wine or liquor bottles. 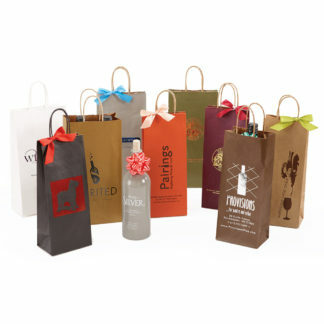 The Bag Lab can also help you customize these canvas bags with your unique business logo so your customers will easily recognize your brand when they see these canvas wine and liquor bags! If you are looking for shopping bags that you can use again and again, there’s no better choice than the 100% cotton canvas shopping bags. Besides, featuring rope style handles, our creative team at The Bag Lab has gone one step further and added a side mesh pocket for every canvas bag. The side mesh pockets are perfect for holding water bottles, cell phones, stationery, and a whole lot of items. These canvas shopping bags with side mesh pockets come in different sizes and you can get them in three colors – black, brown, and natural (off-white). 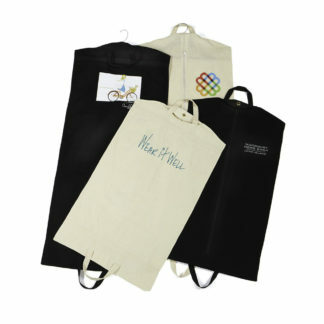 Shop with us today and customize your canvas shopping bags with side mesh pockets! 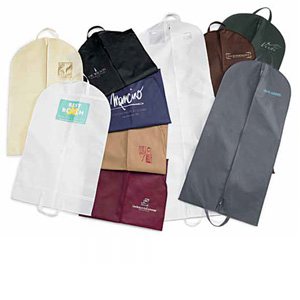 Our light weight canvas garment bags make carrying clothes look chic while you go green! 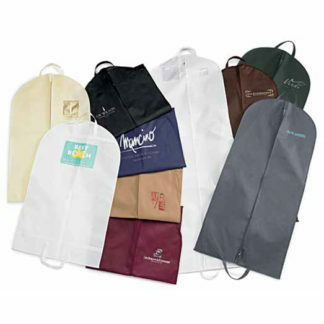 A strong alternative to the vinyl garment bags, canvas garment bags can be washed and be used again and again. At The Bag Lab, we offer canvas garment bags in two sizes – 24″ x 40″ and 24″ x 54″, and in two popular colors – natural (off-white) and black. These canvas bags are finished with heavy duty zippers for added durability, and handles on top and bottom for easy carrying. The featured metal grommets allow garments to be hanged conveniently. You can also customize these bags with your own logo or artwork, and let us do a perfect screen printing job for you to complete the look! Available in a range of vibrant colors, our flat bottom Colored Popcorn. 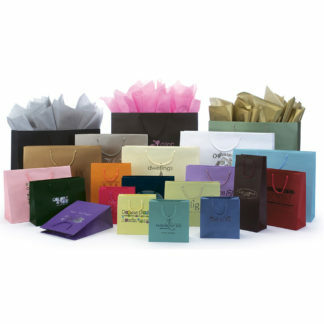 Bags are a value priced bag alternative perfect for candy, gifts, books and more. 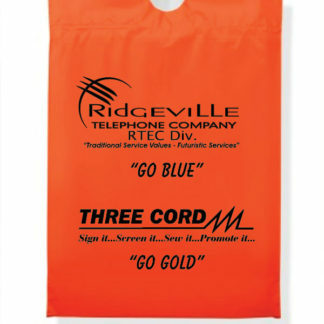 Coordinate with our colored merchandise bags and personalize with a colorful hot stamp, ink print or vibrant four color process print for maximum branding impact at an affordable price. Available in natural kraft and white kraft, our sturdy Corrugated Bottle Carriers are available in three sizes specially designed to fit wine, beer, olive oils and other gourmet bottled goods. Carriers have a convenient built in handle for easy carrying. Choose from 4 bottle and 6 bottle sizes. Our new contemporary style enviro take out bags available in eco-white or natural kraft with matching colored handles are made with earth friendly materials and feature cardboard bottom inserts for added stability. Available in four popular take out sizes with extra wide gussets to t all the various food service box sizes. 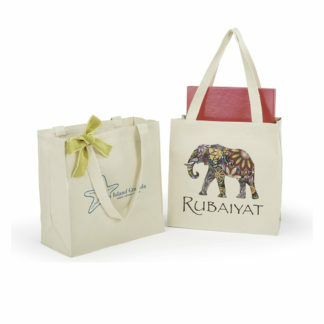 Made with earth friendly materials, enviro european shopping bags are the latest in eco-friendly styling. Bags are made with 100% recycled paper, printed with soy based ink and feature natural cotton handles and cardboard top and bottom inserts for added stability. Available in a range of sizes and soothing earth tone colors. 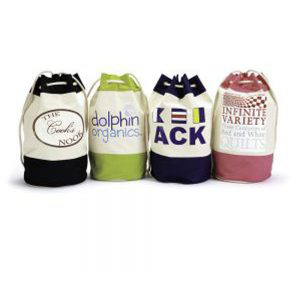 Our upscale laminated Euro style wine bottle bags have a Macramé rope handle that matches the color of the bag and are available in matte and gloss laminated finishes. If you are looking for an elegant bag with the strength to hold heavier items this is the bag for you. This bag comes in 5 different sizes with a choice of 8 different colors. It is made of high gloss laminated paper with a reinforced top and cardboard bottom gusset. Each bag comes with a macramé rope handle that matches the color of the bag. This handle can be carried in your hand or over your wrist.. You can choose from several foil colors for hot stamping your logo on one or two sides. Our heavy weight 10 oz. natural cotton canvas shopping bags measure 12 1/8″ x 5 ½” x 12 1/8″, and they are perfect for carrying a wide range of items, ranging from books, shoes, clothing, and more. These heavy weight canvas bags feature natural cotton web handles that make for easy carrying, an interior pocket to help you organize your items, and have no interior lamination so that you can wash the bags easily. They work great as a promotional item, and with the beautiful screen printing we can do for you here at The Bag Lab, you can use these canvas bags easily to your advantage! Always a stylish choice and with many glossy colors to choose from, we make it easy to select one that will work well with your store image. 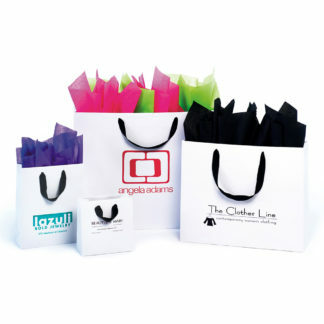 Bags are gloss colors on white with white twisted paper handles (unless otherwise noted). 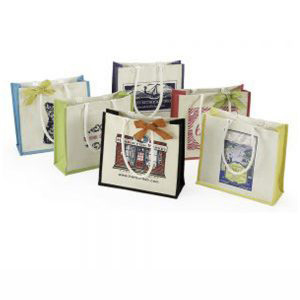 These distinctive bags have a fold over snap closure making them perfect for jewelry or smaller gift items. Made of matte white heavy weight paper, they have a black grosgrain ribbon handle that loops through the ap for extra security. 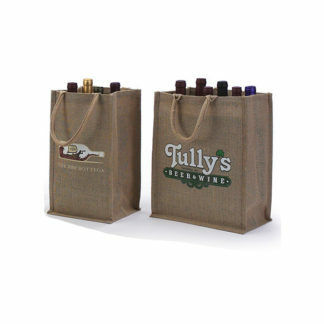 Available in two bottle, four bottle and six bottle styles, our natural jute and canvas wine bags are eco-friendly and make a great way to carry your wine or liquor bottles in style. You can choose from two colors – natural (off-white) or brown – and use screen printing to spice up the look. Our jute and canvas wine bags include jute and canvas inserts sewn into the inside of the bags to hold each wine bottle securely. 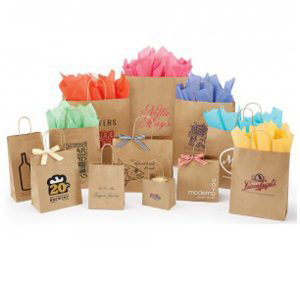 The Bag Lab specializes in customizing jute and canvas wine bags for both personal and commercial use, and we are known for our budget-friendly prices and fast turnaround times. 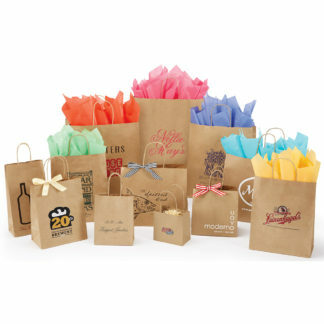 Start shopping for our exceptional jute and canvas wine bags today! 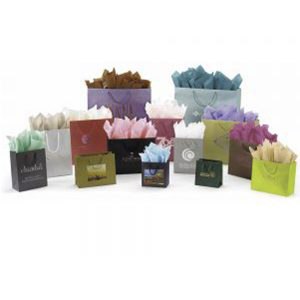 Not sure whether you should go with plastic bags or paper bags for your retail store? Perhaps you should try our line of eco-friendly jute shopping bags made from natural hemp plant fiber instead! Our jute shopping bag with a matching rope handle features a rope handle, and a clear laminated bag interior. 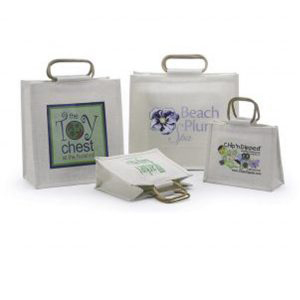 These bags are extremely durable, and can easily provide an organic look for your products. For maximum branding impact, you can let us at The Bag Lab help you personalize your jute bags with beautiful screen printing. 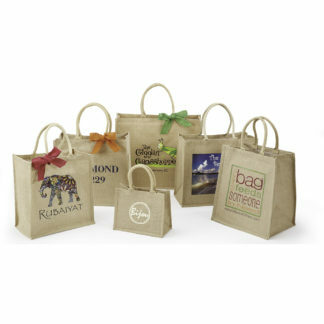 If you want your brand to look like an environmentally friendly business, jute bags with matching rope handles are the way to go! If you want a chic way to carry your jute shopping bags, then jute bags with cane handles are just the product you need to look into. Made from natural hemp plant fiber, the bags are highly durable and eco-friendly. 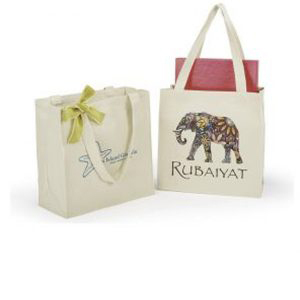 These jute shopping bags feature a cane handle and a clear laminated bag interior. If the jute bags with colored side gussets are too “loud” for your liking, you will appreciate the sophisticated look that these jute bags with cane handles can offer instead. 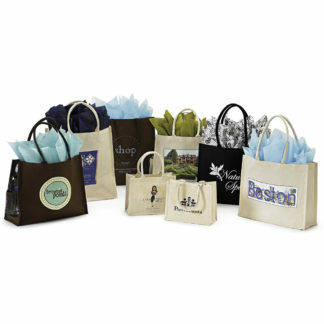 The Bag Lab can help you to add your custom logo or artwork so these jute bags are sure to please! Adding color to your eco-friendly jute bags has just gotten easier at The Bag Lab! Introducing our colored gusseted milky white jute bag available in a trendy 15″ x 6″ x 14″ size with matching off-white cotton rope handles. Choose your gusset color from six beautiful tints – Felix Pink, Peacock Blue, Black, Lime Green, Lemon Yellow and Navy – all easily complementary with any upcoming season. 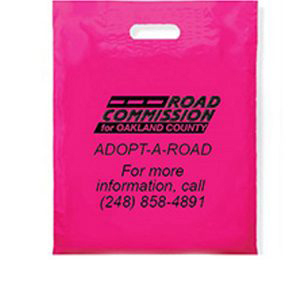 These bags work great for resale or as a promotional item, and its vibrant color sensation print will leave a lasting impression on your target audience. So, start customizing your jute bags with colored side gussets with us today! Our premier European shopping bags are made with heavy weight natural kraft paper and feature jute rope handles as well as sturdy cardboard bottom inserts. 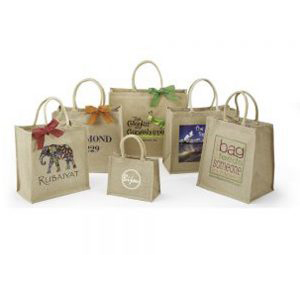 These natural kraft European shopping bags with jute handles are perfect for holding heavier items, and can suit a wide range of applications. Whether you are fitting a shoe box into this bag or a shirt into it, you can always find the right size from our line of natural kraft paper bags with jute handles. The Bag Lab offers great prices for these bags so start ordering today and be impressed with our quality! 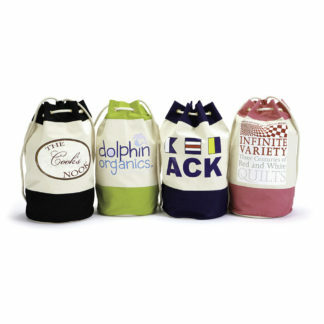 Choose from our extensive selection of wine bottle bags which are available in one and two bottle styles. 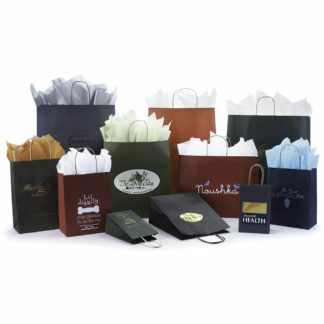 Choose from value priced paper shopping bags in colors ranging from traditional natural kraft and white to rich metallic shades and new contemporary colors just added in burnt orange, chocolate and olive. Is the heavy weight canvas bag not suited for your needs because what you need is a canvas bag to hold light weight items? Well, fret not, because at The Bag Lab, we place our customers needs at the top priority and that’s why we also offer light weight canvas bags for customers who want smaller canvas bags. Our light weight canvas bags are available in three popular sizes – 15″ x 11½” x 16 x 11½”, 16″ x6″ x 13″ and 20″ x 6″ x 16″. 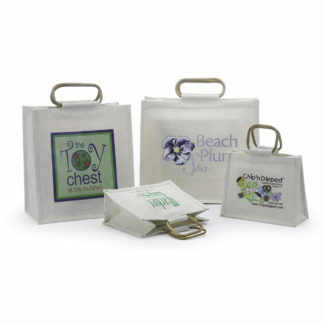 These bags feature shoulder length cotton handles and do not have a laminated interior. You can get them in three popular colors – brown, black, and off-white. Made of the highest quality and available in the widest selection of colors you will nd, our premier matte laminated european shopping bags are truly the nobility of all shopping bags. 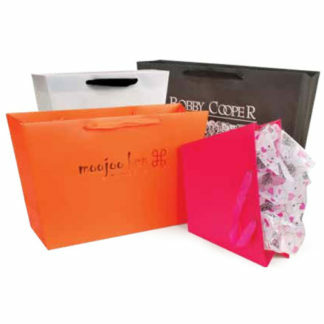 Made of heavy weight paper and available in a luxurious matte nish, these stunning bags hot stamp beautifully to provide a highly visible and chic way to advertise your business. Bags have matching rope handles and a sturdy cardboard bottom insert. 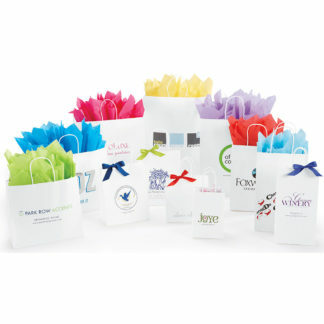 This ribbon handle eurotote comes in a bright white heavy weight laminated paper. This allows for the hot stamping and ribbon handle to be the stars. You can choose from the many attractive matte, gloss or metallic foils. 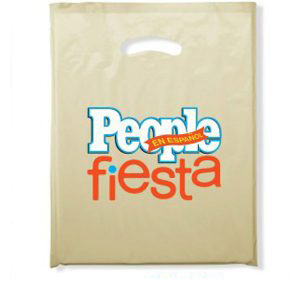 This bag comes in a variety of sizes from 6.5″ x 3.5″ x 6.5″ to 20″ x 6″ x 16″. 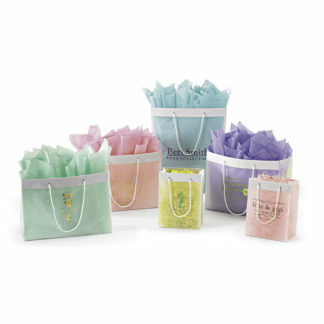 You can also add coordinating colored tissue paper which adds to the beauty of this bag. Elegant and stylish comes to mind when describing this combination. Both economical and practical, these natural kraft shopping bags have a great “earthy feel”. They are available in seven different sizes and work well for any type of business. Customized printing is available in a wide variety of colors creating a true “back to basics” look. All bags have a matching twisted paper handle. 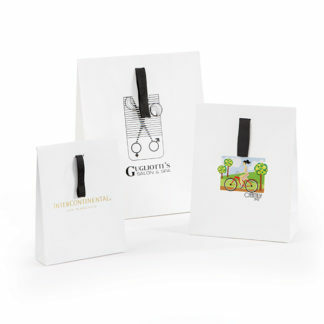 Offered in a variety of sizes and styles, our non woven bags are a stylish and environmentally friendly alternative to the traditional paper or plastic shopping bags. 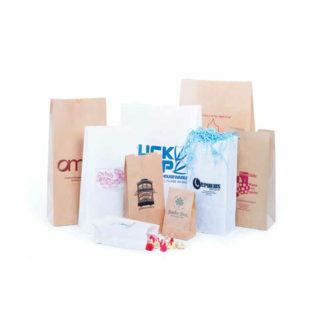 These bags are made from non woven polypropylene 100 GSM, and are a trendy way to promote your retail brand. 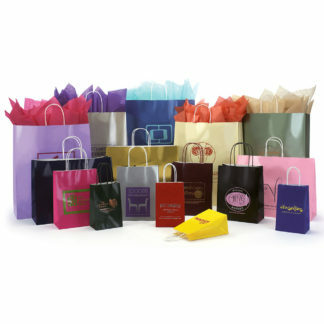 These bags are often preferred when customers want a light weight shopping bag that can be easily stored. 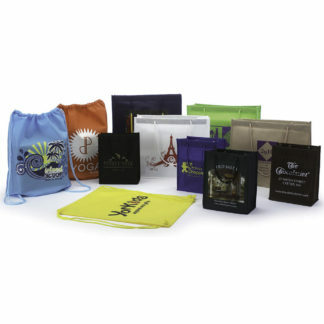 These bags come with non woven handles in coordinating colors with the selected bag colors. 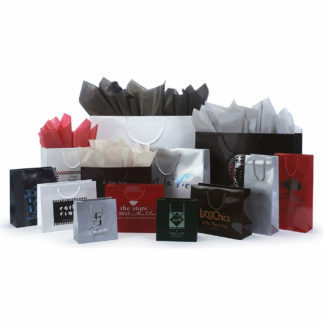 The Bag Lab can help you customize non woven bags at an incredibly affordable price so start shopping with us right now! 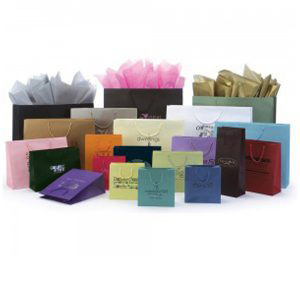 Do you want to go a notch up from the ordinary non woven shopping bags? You can certainly do that with the non woven shopping bags with rope handles from The Bag Lab! 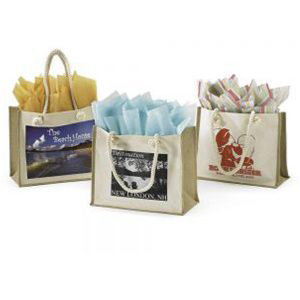 Similarly offered in a wide spectrum of sizes and colors that you can choose from, our non woven rope handle shopping bags are made from non woven polypropylene 100 GSM. 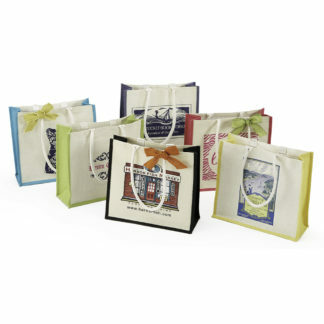 These inexpensive shopping bags feature color matching cotton rope handles which make for easy carrying. We can screen print these bags perfectly with your customized logo or artwork, helping you to promote your retail brand with absolute ease! 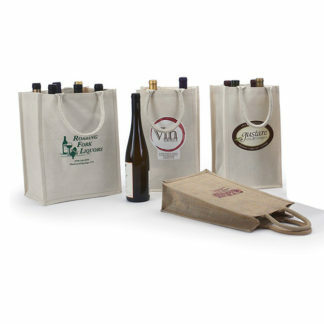 At The Bag Lab, you can get non woven wine and liquor bags that come in two bottle, four bottle and six bottle styles. 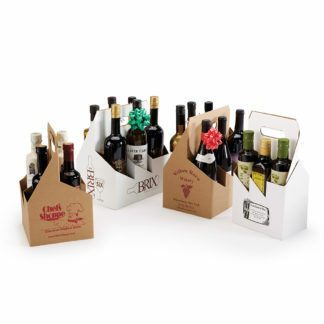 These wine and liquor are eco-friendly and a great way to promote your business. 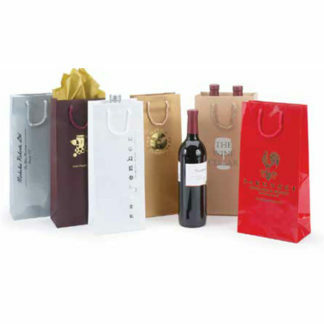 Our non woven wine bags include non woven inserts sewn into the inside of the bags to safely and securely hold each wine bottle. With these bags, you do not ever have to worry about breakage. 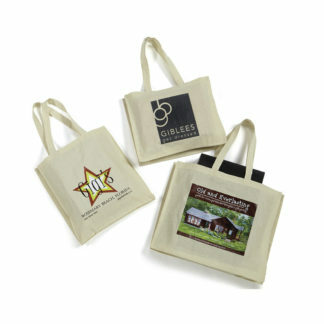 They are effective and advertising-worthy, especially if you add your custom logo or artwork to the bags. 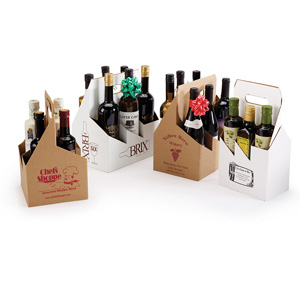 Start shopping for non woven wine and liquor bags with us today! Non woven bags have a number of desirable characteristics – they are produced with engineered fabric and can be designed with a variety of properties, including fire resistance, liquid repellence, sound and thermal insulation as well as the ability to be washed. 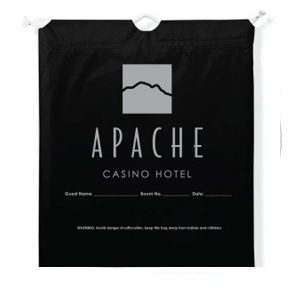 These features make non woven bags some of the most sought after utility bags on the market as they can be used for many diverse applications. 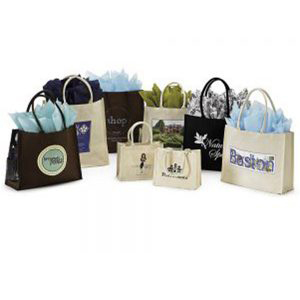 The Bag Lab can design a customized non woven bag that is well suited to any task. 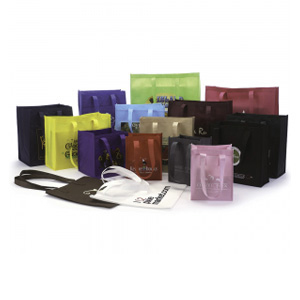 We offer a range of colors and design options to ensure your bag is both stylish and environmentally friendly. 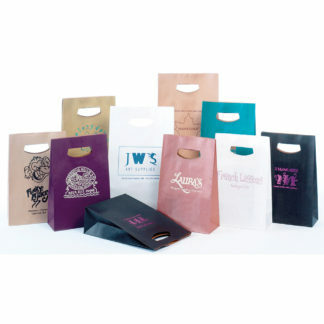 Made of non woven polypropylene 100 GSM, these bags make the latest trend in the retail industry! 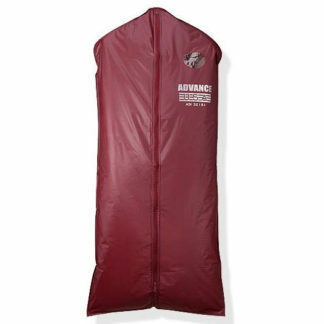 Our non-woven garment bags are constructed with a high quality 100 GSM non-woven polypropylene material. All bags have matching trims and new heavy duty quality zippers. Bags also have a vinyl patch at the hanger opening and handles at top and bottom of bag to allow for folding and ease of carrying. The uniqueness of this bag lies in the die cut handle. It not only has a cardboard patch around the handle which adds to its strength, but it has an extra flap that will fold into a locked position for closure at the top. The bottom gusset adds to the volume of this bag. It comes in one size (7″ x 3.25″ x 10.75″) and can be ordered in any one of the 11 colors offered. You can also choose from many different ink colors for printing your personal art work. What makes this bag unique is the availability of so many strikingly bright colors. Even though they are pastel in nature they are extremely vibrant. There are many practical sizes available. 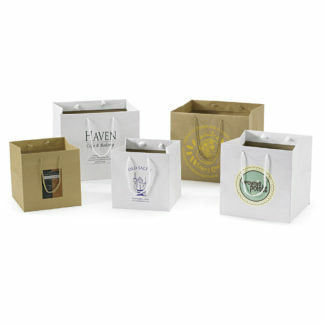 These paper shopping bags have twisted white handles and can be attractively hot stamped and customized to enhance any use. Choose from many imprint colors. If you design this bag with the right color combinations it’s sure to be totally eye catching. 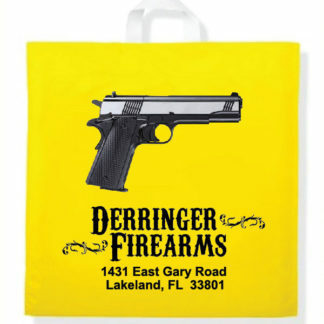 The Die Cut plastic bag is a low cost item for lighter weight carrying, but still looks great! Unlike the Patch Handle bag there is no reinforcement in the handle area but the tear strength of the handle really holds up. Even though this bag is less money it is still available in every color poly in our line. This bag can be used for larger lighter weight items as well as smaller items. If you want to save money without forfeiting style this is the product for you! 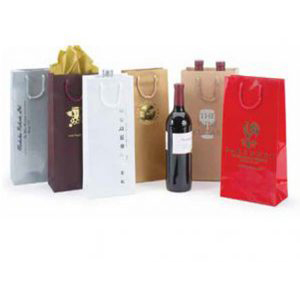 The Tamper Proof wine bottle bag is a clear bag with a onetime adhesive seal. It complies with some state laws regarding taking home a partially consumed bottle of wine from a restaurant. Laws and requirements vary by state, please check to see what the law states in your area. This practical bag is cleverly designed for security and safety. The zipped closure at the top of the bag will keep items safe and secure. This bag is made from extremely heavy plastic which can be used over and over. The neatly cut-out handle of the bag makes for easy carrying. This bag is available in six attractive colors and one convenient size. The printing process will be hot stamping for even a more elegant look. There are tons of hot stamp colors to choice from. Our resort canvas/jute bags come in a trendy 15″ x 7″ x 12″ size and have a cotton canvas front while featuring the back with side and bottom jute gussets. These resort bags are finished with gold grommets and nautical off-white 100% cotton rope handles. They also come with a clear laminated bag interior. If you are looking for a bag to be reused again and again, this is the ultimate reusable bag that you should consider. The Bag Lab can help you do full color prints on these resorts bags which will be useful for a wide range of applications. Start customizing resort bags with us today! 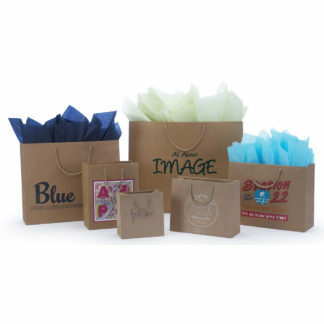 These colors are printed on natural kraft shopping bags and are extremely popular, practical and inexpensive. 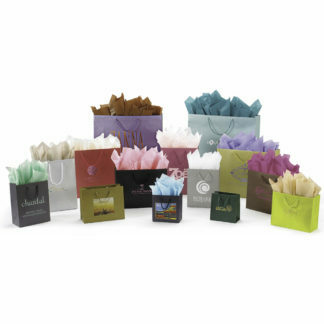 They are the least expensive colored paper shopping bags available in our line. 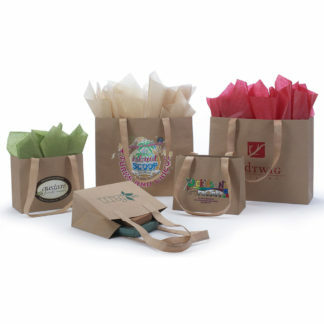 Each bag has a natural kraft colored interior as well as a coordinating natural kraft twisted paper handle. Black bags have coordinating black handles. 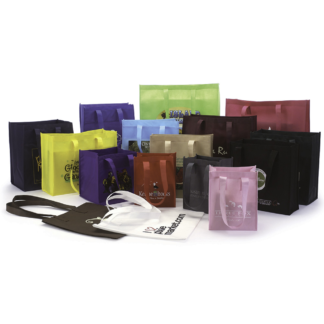 The imprint process is hot stamping so we can print any color ink on any color bag and they will look great. These classy laminated bags have a unique style and shape. The eye catching colors and matching ribbon handles are sure to be a favorite. This extra heavy weight paper is practical as well as stylish. Trendy new styling, our premier urban kraft shopping bags are made with heavy weight 100% recycled natural kraft 175 GSM paper and feature unique tan non-woven shoulder length handles with cross stitching for added durability. 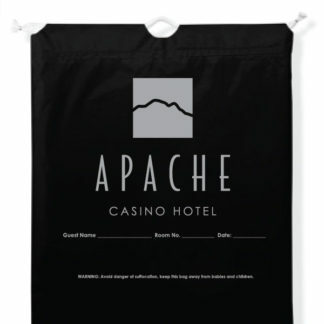 This vinyl bag is ideal for your garments on a hanger. Available sizes for suits, dresses and coats. 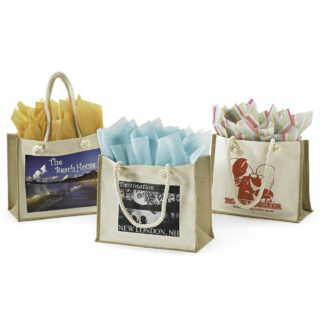 Durable flat bottom bags are perfect for candy, gifts, and Popcorn. Custom printed with your logo makes them a terrific means of advertising. 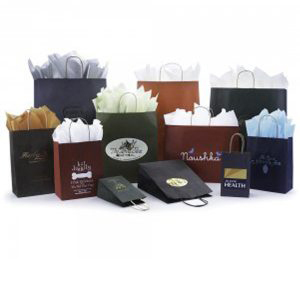 This white paper shopping bag has a crisp clean look and will look great with any color imprint you choose. This practical and very economical bag comes in a huge selection of sizes. All bags are made with white twisted paper handles. You can coordinate tissue paper with the imprint color for a great look. This style and material is one of the most ecologically friendly items in our line. 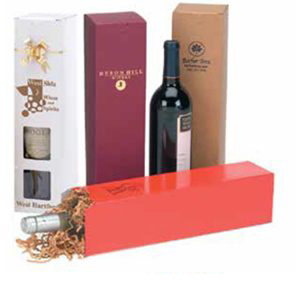 We offer two wonderful styles of wine bottle boxes to choose from – our standard one bottle, one piece style box in several colors and our new folding set-up wine bottle boxes, available in sizes for one, two and three bottles. 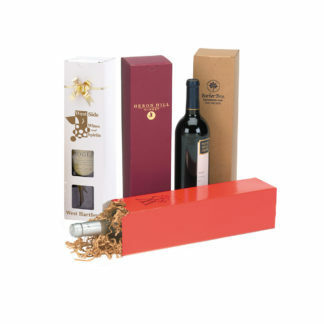 The folding set-up box is available in the same gorgeous gold and silver that we offer in our premier line boxes and include a cardboard insert divider. Both styles hot stamp beautifully and work well for wine bottles, tall glassware or oils – keep on hand for the perfect gift anytime. 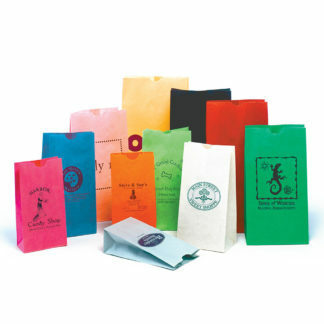 Patch Handle bags are one of most popular plastic bags in our line. These reinforced die cut handles have a plastic “patch” welded in the handle area for extra strength. They are ideal for carrying heavy weight items. Patch Handle bags are extremely practical at an affordable price. They come in a full array of bag colors to choice from. This bag can be used for just about any purpose. Poly Draw Tape bags are a less expensive alternative to the Cotton Drawstring bag. They have two pieces of plastic at the top of the bag, just pull to close. This bag is the least expensive bag that opens and closes. It can hold up to 10 pounds. 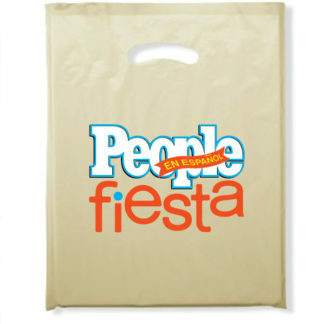 Great for retail stores, valet service, trade shows, shoe stores, pro shops, hotels and hospitals. This popular pull string bag closes easily at the top and is perfect for carrying a wide variety of items. 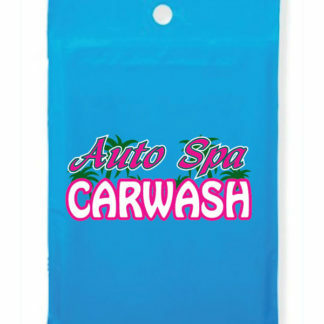 This strong plastic bag is available in a full array of pleasing colors and can be easily customized to suit any type of business. Items stay neat, secure and dry in this fully closable bag. 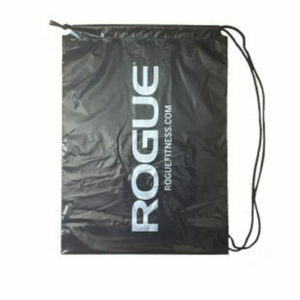 This well constructed heavy gauge plastic bag is perfectly designed to give you great function and maximum capacity. The strong attached handle gives this bag a very attractive look and is available in white, black or clear. 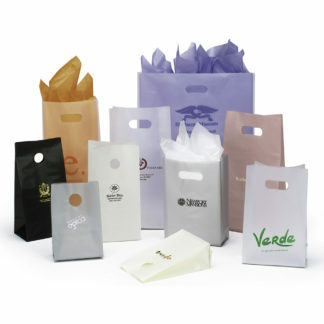 For a great look, you can coordinate the handle color, with one of the many pleasing bag colors and the imprint color. The combinations are limitless. This novelty litter bag comes in a variety of colors and is perfectly suited and sized to collect small trash and keep your car clean. The small perforated hole at the top of the bag will conveniently hook onto any dashboard. Great item for car washes! 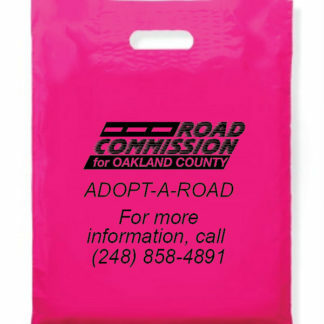 This cleverly designed litter bag comes in a variety of colors and is perfectly suited to keep your vehicle clean. 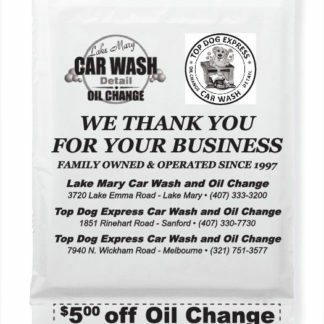 Its dual purpose of promoting your business with a money saving tear off coupon as well as neatly collecting small trash, is sure to please all consumers. This bag is still usable even after the coupon is ripped off. The small perforated hole at the top of the bag will conveniently hook on to any dashboard. This item is great for car washes! 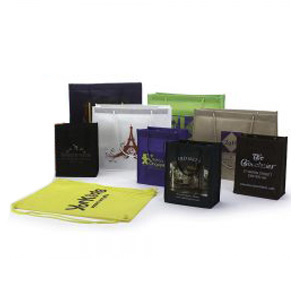 These heavyweight frosted bags have an ultra modern look and are beautiful hot stamped. The frosted plastic combines perfectly with our colored tissue allowing your image to shine through. 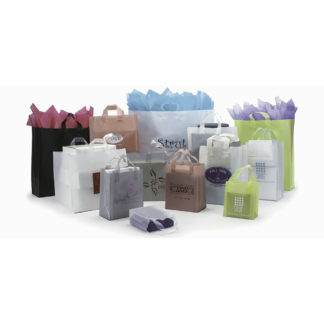 Bags are high density plastic with die cut handles and bottom cardboard inserts. 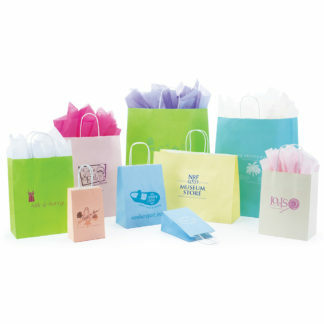 These frosted high density shopping bags are available in four sizes and six striking bag colors. The sturdy color matching soft loop handles are welded onto the top of each bag. We use a “soft loop” handle so it is easy to carry and fits comfortably in your hand. There is a bottom cardboard inserted for extra strength and ease of carrying. The hot stamp printing is available in over 40 matte and metallic colors to choice from. Add colored tissue paper for a beautiful presentation. This beautiful European style plastic shopping bag is made from translucent heavy duty high density material. It is available in frosty clear, white and pink. The color coordinating European Macramé rope handles add an elegant touch. It is reinforced with a top and bottom cardboard. The side and bottom gussets add to this bags capacity. The printing process of this bag is hot stamping which always enhances the look of any bag. Economical, easy to use! 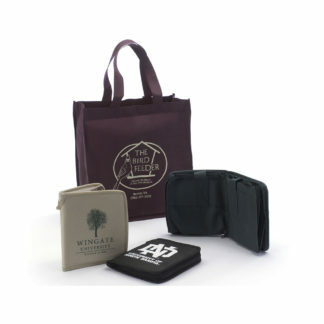 Great for flyers and promotions, all you have to do is slip your information inside the bag and then you can place the bag over a door knob keeping the promotions in hands reach. "Absolutely amazing - we couldn't be happier! We needed an environmentally friendly option..."
"Great selection, great service, great pricing. A one stop shop for all your bag needs. I've tried others but they ..."